My six-year-old Terrier mix, has symptoms consistent with your description of lymphoblastic lymphosarcoma. My local vet, who seems suspiciously eager to put my dog to sleep, insists that my dog has nearly zero chance of survival yet has not done a complete staging procedure (only a single biopsy). What can I do to try to save him? Please help me as soon as possible. OncoLink has a policy of not rendering professional opinions via e-mail, as it is impossible to render an accurate diagnosis/treatment plan without examining a patient in person. However, in general, if your dog does have lymphosarcoma, it is treatable. It is one of the most treatable cancers in dogs, and while a cure is unlikely, obtaining a remission is very likely and many dogs can expect a year, on average, of good quality life (of course, some do worse than this but some do better). If your veterinarian is not willing to pursue diagnosis and treatment, I would STRONGLY encourage you to seek out a second opinion with a veterinarian who believes in treating cancer in companion animals. 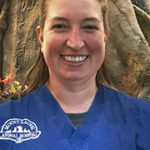 If at all possible, a board-certified veterinary oncologist should be consulted, or if one is not available, a board-certified internal medicine veterinarian. Unfortunately, there are veterinarians do not believe cancer should be treated in companion animals, and they rarely offer referrals to those clients who wish to pursue treatment. Please try to seek out one who does.